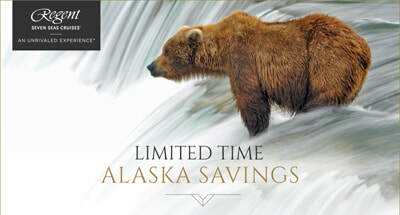 Limited Time Alaska Savings on Regent - Fugazi Travel Agency Inc.
​Witness the iconic wildlife, experience the frontier culture and use your Shipboard Credit to pre-book a Regent Choice shore excursion like a helicopter ride over glistening glaciers. Indulge in the sophisticated comfort of the intimate, 350-suite, all-balcony Seven Seas Mariner® where every luxury is included. With FREE Unlimited Shore Excursions,​ roundtrip air, gourmet dining, fine wines and spirits and so much more included, there is no better way to experience Alaska than with Regent Seven Seas Cruises. 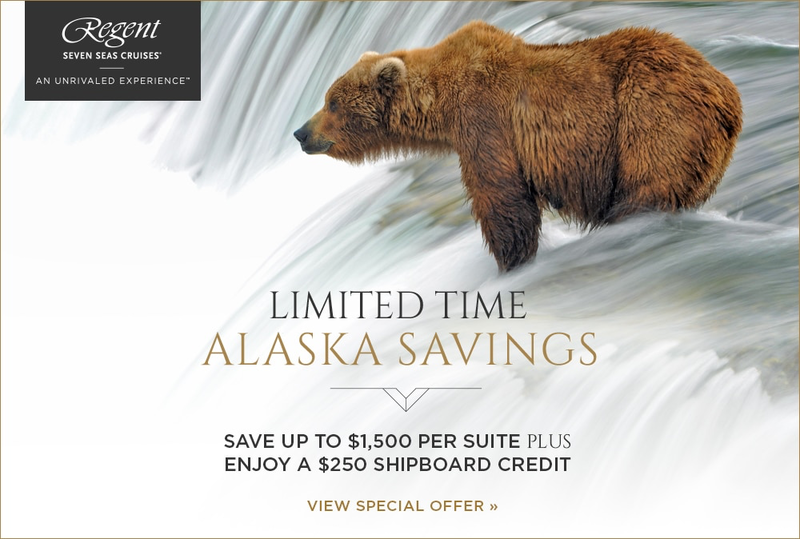 For a limited time, book your all-inclusive 2019 Alaska cruise and save up to an additional $1,500 per suite ​on select voyages — plus, you’ll enjoy a $250 Shipboard Credit!